LOS ANGELES, CA: Cypress Hill, Juanes, Conor Oberst, Los Tigres del Norte, Rage Against the Machine, Cafe Tacvba, Micheal Moore, Kanye West, Calle 13, Joe Satriani, Serj Tankian, Rise Against, Ozomatli, Sabertooth Tiger, Massive Attack, One Day as a Lion, Street Sweeper Social Club, Spank Rock, Sonic Youth and Tenacious D are the group of artists which have taken a stand for civil and human rights in a collective decision to boycott Arizona and to make a call to other artists to Boycott Arizona due to the passage of the law SB1070. “Fans of our music, our stories, our films and our words can be pulled over and harassed every day because they are brown or black, or for the way they speak, or for the music they listen to.” explains Zack de la Rocha, lead vocalist for Rage against the Machine. The passage of Arizona’s SB 1070, is set to take effect on July 31st of this year, governor Jan Brewer has essentially legalized racial profiling. Under this unconstitutional and racist law, state authorities are given a mandate to use “reasonable suspicion” to anyone they assume to be in the state without documents. More artists are to join, the boycott asks “artists the world over to stand with us, and not allow our collective economic power to be used to aid and abet civil and human rights violations that will be caused by Arizona’s odious law”. 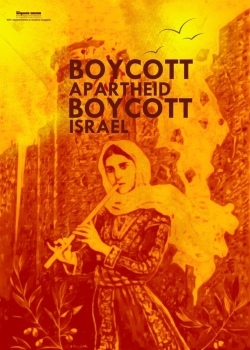 Artists Against Apartheid stands in solidarity with the SoundStrike boycott of Arizona’s racist laws.